The “King and his court” come to town Friday (3/15) to take on the Bucks, and try to extend their winning streak to 21 games… it may not be as easy as their fans think. The Milwaukee Bucks for the lack of a better word “OWN” the Heat. The Bucks won 3 of their last 5 games against Miami dating back through last season (2011-12), and they’re 1 and 1 this season. Back in November they took LeBron and Company to overtime in Miami before losing, then when the series moved to Milwaukee in December, the Bucks CRUSHED the Heat by 19 out scoring Miami 35-14 in the fourth period. No other team besides the Bulls, and Celtics have beat the Miami more in the “LeBron Era,” then Bucks, and they’re also one of only four teams this season to have outscored them during their series. 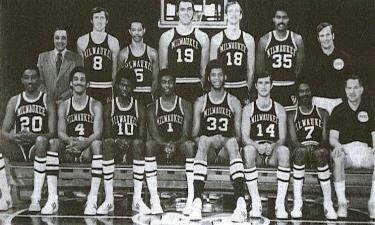 The Heat are one of only 4 teams in NBA history to win 20 or more games in a row, one of them being the ’70-’71 Milwaukee Bucks (20 games). 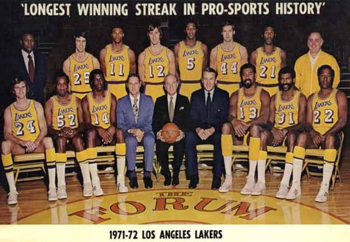 The others to accomplish the feat: are the Washington Capitals whose streak bridged the 1947-48 and ’48-’49 seasons (20 games), the 2007-08 Houston Rockets (22 games), and the granddaddy of them all the ’71- ’72 L.A. Lakers who won 33 in a row! 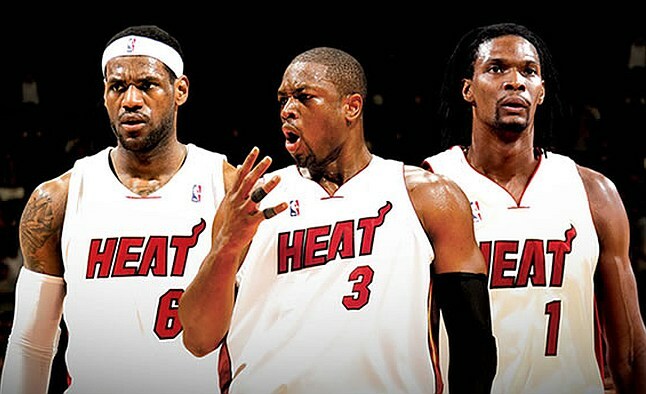 The Heat have a tough row to hoe here in the “brew city,” and they know it. Sanders, Ellis, and Jennings are hungry coming off of back-to-back losses to the Mavericks and Wizards and are looking to continue on to improve their seed in the play-offs, and douse the Heat. 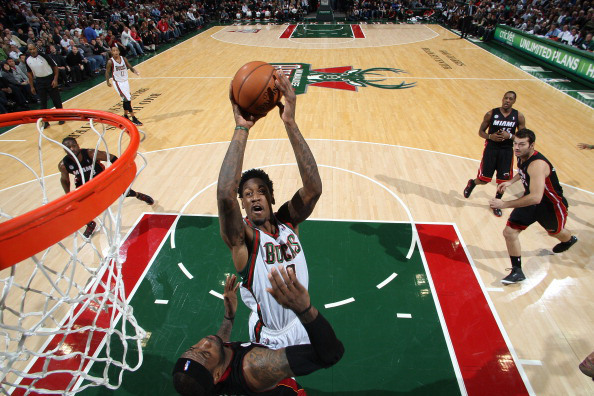 This entry was posted in Milwaukee Bucks, NBA, sports and tagged Houston Rockets, Larry Sanders, LeBron James, LosAngeles Lakers, Miami Heat, Milwaukee Bucks, NBA Streak, Washington Capitals. Bookmark the permalink. Hopefully they can put on a show and bust the streak or they will be playing each other in round 1.